How to add Google Tracking codes? If I am running a Google Display campaign using Jot form, how will add Google Conversion codes to the form and track the conversions. 1. 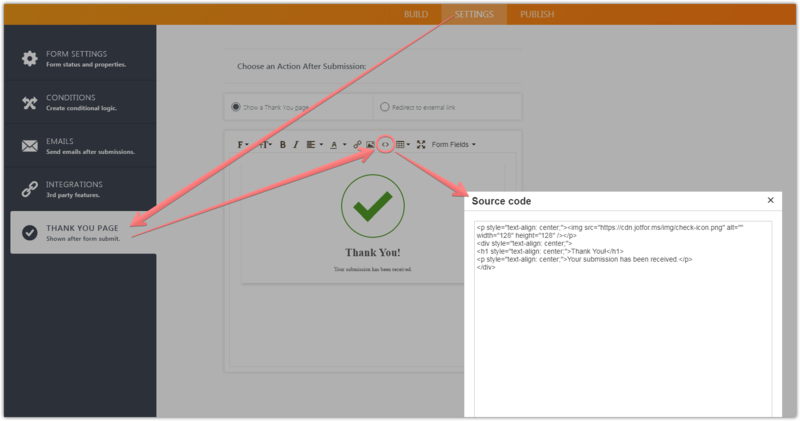 Embed your Google Analytics codes to a page on your website. This page will serve as your form's Thank You page. 2. Then, change your form's Thank You page to redirect to that URL. Other alternatives when it comes to analytics (not Google Analytics per se) can be found on the article I'm linking below. It's worth mentioning that we have our own Form Analytics feature, and a Google Analytics Widget.